Tree cabling and construction damage repair; Free logs and wood chips; We sell firewood. We offer many other services related to tree care. If you’re interested in any of these services or have any questions about them please call us at 908-941-0063. Wholesale and Retail Firewood is Available. Whenever a tree is cut down, smaller branches are chipped into wood chips and the bulk of the tree is cut into 13 foot lengths. Logs and/or wood chips can be picked up in our yard by appointment. Logs will be cut at approximately 13 foot lengths. Logs are all types but we avoid bringing pine, spruce or other non-desirable wood. 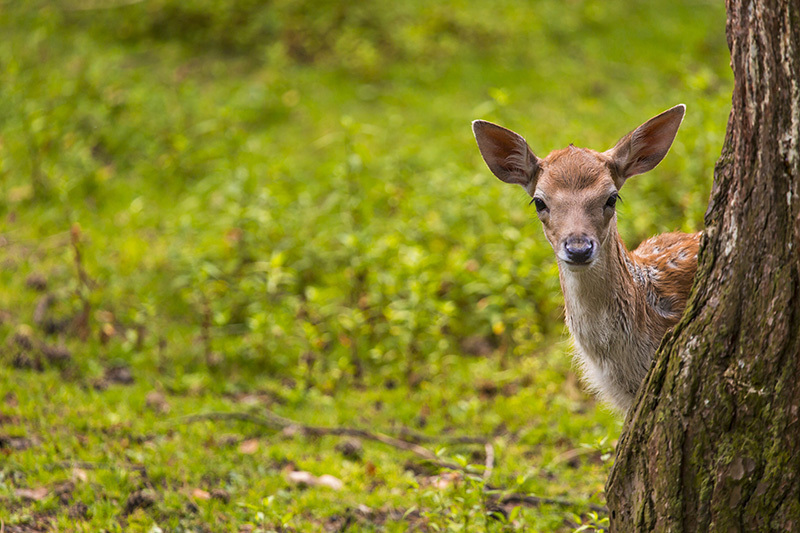 Damage to trees and shrubs because of deer can be caused year round in a variety of ways. In the fall, male deer rub their antlers on trees to smooth them out. This can seriously damage or remove tree bark. Deer also have insatiable appetites and will eat just about any plant if they’re hungry enough. We can help prevent deer damage through a variety of methods which will depend upon the type of trees and plants making up your landscape. Most people have never heard of tree cabling. In short, it’s the process of using steel cable to strengthen a tree to help prevent a large branch or a split trunk from breaking and causing property damage or personal injury. Cost: The cost to cable a tree is far less than to remove it. Aesthetics: Trees add beauty and value to any property. We always strive to save a tree instead of cutting it down. The older and larger a tree, the more desirable it is to save it. The professionals at Rich Tree Service are experienced in the process of tree cabling. When we’re done, it will be nearly impossible for a casual observer to see the work that was done. Your tree will be saved and you can rest easy knowing that your property and family are safer. If you’re planning any major construction around your home such as an addition or a pool, we’d like to bring some little known tree facts to your attention. Root Compaction: Roots can become compacted by the weight of the construction equipment. Over the course of time, the tree might suffocate and die because of this. Rich Tree Service can prevent permanent damage to the tree with the use of special aerating equipment which loosens the soil, adding oxygen. Root Disturbance: Many trees can have root systems that can extend many feet out from the tree and be very close to the surface. Any digging in the area will disturb the roots and can cause a tree to go into shock and die. The professionals at Rich Tree Service will examine the damage and use the proper treatment to help the tree recover. If you’ve recently had construction on your property and are concerned about your trees, give us a call at 908-941-0063 for a free tree inspection.